WORLDWIDE: Policy barriers represent the most common challenge to the uptake of power purchase agreements (PPAs) for renewable energy, says lobby group RE100. Rapidly falling costs of wind and solar power mean RE100 companies are increasingly citing the economic benefits of renewables when choosing to seek out PPAs, the group said in its annual report. The proportion of renewable electricity being sourced via PPAs grew fourfold in 2016, RE100 stated in its study. Meanwhile, purchases from installations on a buyer's site by owned by a supplier increased 15-fold, while 56 companies generated their own electricity on-site in 2016 — a nine-fold increase on the previous year. But in some regions — Europe, for example — the PPA market remains "largely untapped", RE100 stated, with underdeveloped market-based systems, heavily regulated markets, and uncertain policy frameworks, being the most cited barriers to renewable electricity sourcing. The business case for transitioning to renewables is "becoming increasingly clear", RE stated. Despite price reductions, the number of members reporting cost savings after transitioning to renewable energy still represented only a minority of respondents (40.5%) in RE100’s survey. But respondents argued that long-term agreements provided financial certainty, especially when tied to technology with lower-operating costs in the long-run. 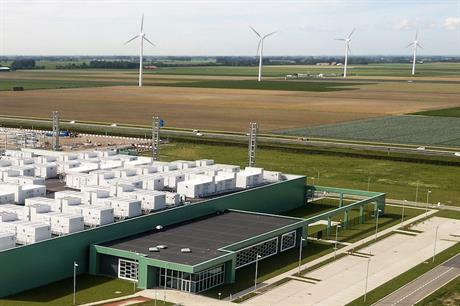 Last year, Microsoft signed an agreement with Vattenfall to power a Dutch data centre with all of the energy produced from the Swedish utility’s 300MW Wieringermeer site under a ten-year agreement. Brad Smith, Microsoft's president and chief legal officer, told RE100: "As we expand our global cloud infrastructure, we will increasingly turn to renewable energy because it is a clean power source and gives us better financial predictability." Similarly, Google — which last year signed PPAs for 536MW from wind farms in the US — was impressed by expected financial savings and financial predictability. Urs Hölze, senior vice president of the company’s technical infrastructure division, said: "Renewables are increasingly becoming the lowest cost option. "Electricity costs are one of the largest components of our operating expenses at our data centres, and having a long-term stable cost of renewable power provides protection against price swings in energy," Hölze said. Accordingly, financial barriers remained a "significant challenge" to increasing the uptake of renewable PPAs, RE100 found, however, "these were cited by significantly fewer members than policy barriers". RE100 members also identified technical hurdles, including the difficulty of learning and managing renewable acquisition strategies across multiple locations — each with different market regimes, processes, advisors and nuances — to reach their global targets. Lack of data and traceability issues regarding their own consumption also presented challenges, the group stated. "The campaign will continue to work with partners across the world to help members and the wider business community to overcome or remove those barriers through education, peer-to-peer knowledge sharing, political advocacy and market development," RE100 added. Difficulties in accessing certification for renewable energy sources in underdeveloped market-based systems, heavily regulated markets, challenging and uncertain policy frameworks were all policy barriers cited by RE100 members. In Europe, industry association WindEurope has argued that in some countries it is unclear whether PPAs are legal, for example. Meanwhile, in Japan — where RE100 gained its first three members this year — there is currently no mechanism for companies to source renewable energy through PPAs and China limits PPAs to on-site, behind-the-meter installations. Arvind Bodhankar, chief strategy officer of Tata Motors in India, argued that "open access regulations need to be consistent across states" in the company’s native India. UK mobile phone network EE, part of the BT Group, signed a five-year PPA for 680MW of wind-and solar-generated electricity with Innogy subsidiary Npower in October. But Robert Williams, general manager of procurement in BT’s utilities, power and cooling division, argued PPAs needed to be better incentivised: "We have got to keep working to encourage the government to create more stable frameworks for renewable policy and certification. "We must continue to apply pressure on policymakers to create clearer incentives for companies to purchase renewable energy and stimulate demand." RE100, a coalition of 122 businesses committed to 100% renewable electricity, grew in number last year and members now collectively have more than $2.75 trillion in revenue and represent more than 159TWh of demand for renewables.